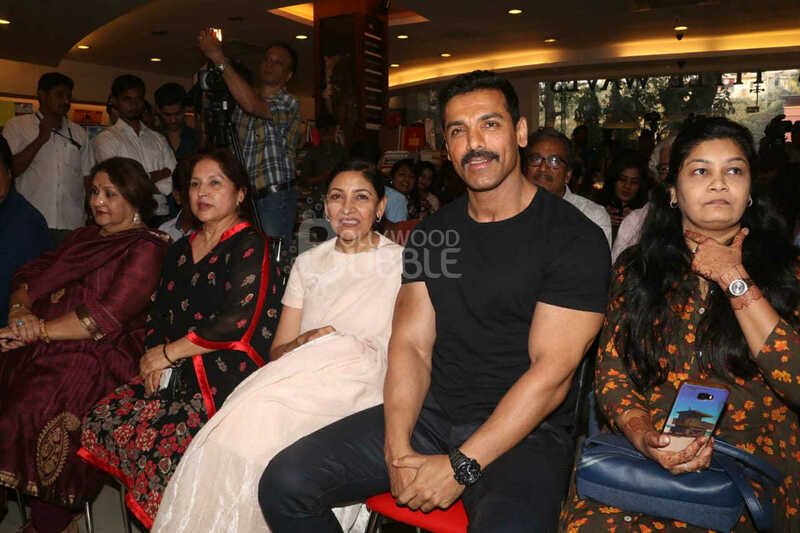 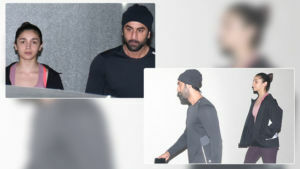 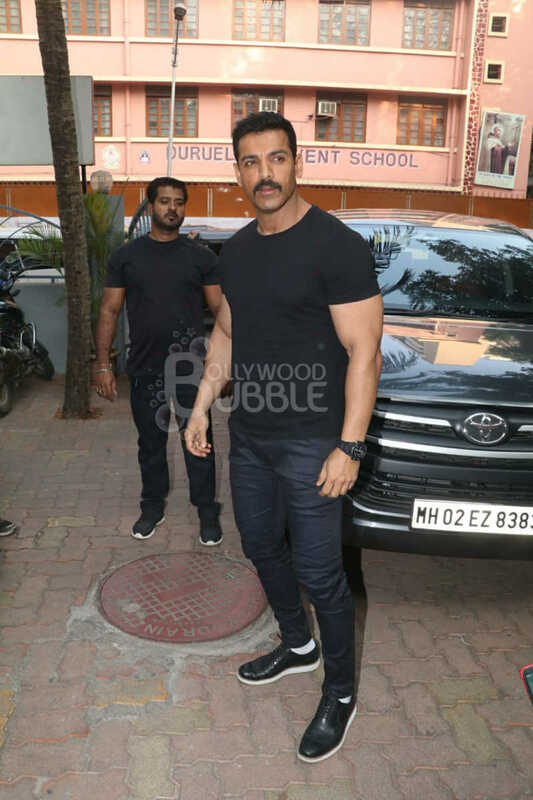 Bollywood hunk John Abraham was spotted at the book launch of actor Annup Sonii. 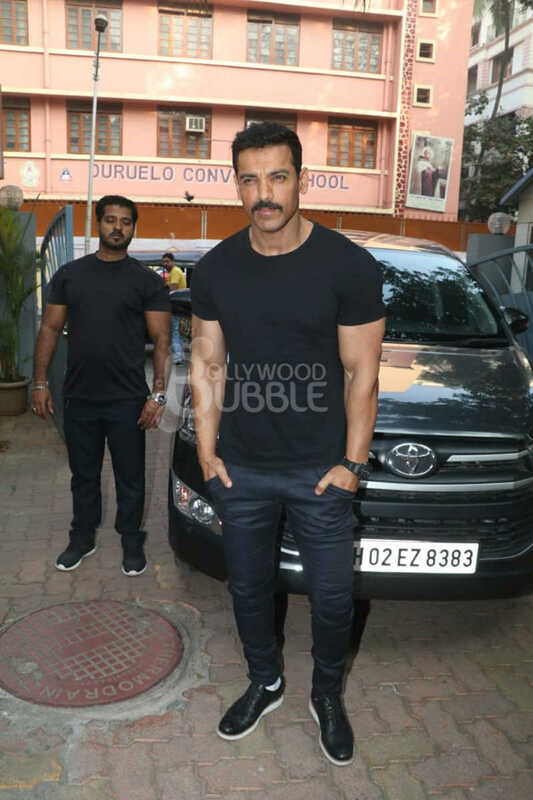 John was dressed in a black t-shirt and denim looked dashing with that moustached look. 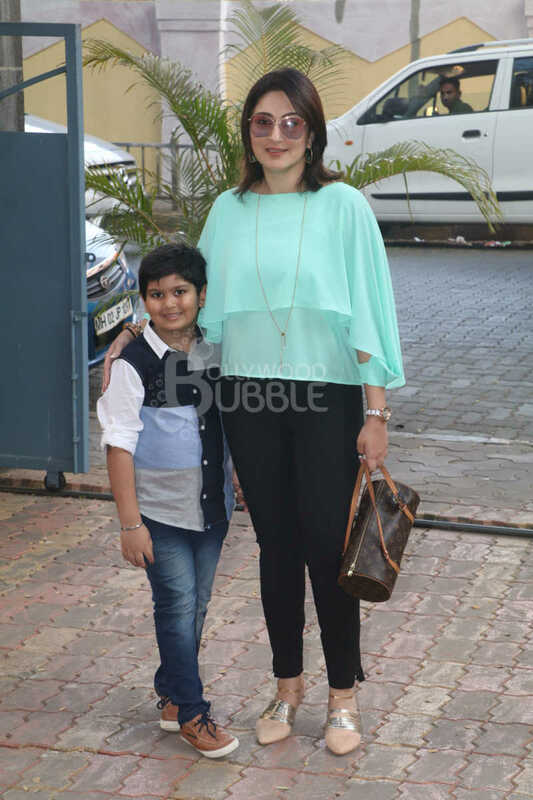 Annup's wife Juhi Babbar with their son Imaan Soni were also present at the event. 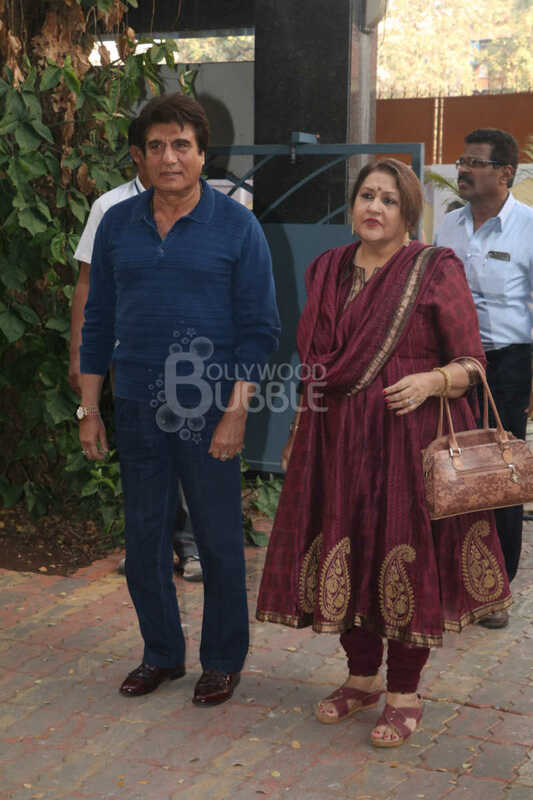 Actor politician Raj Babbar too graced the occasion with his wife Nadira. 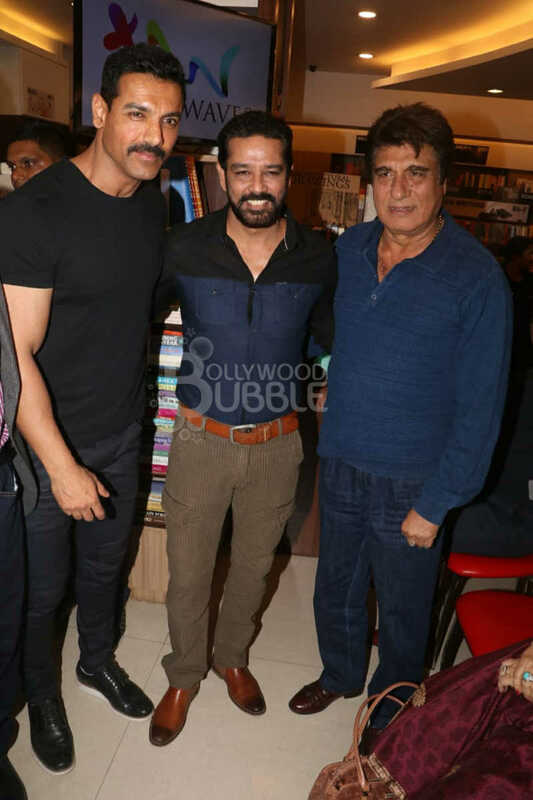 John Abraham, Annup Sonii and Raj Babbar posed together for a picture. 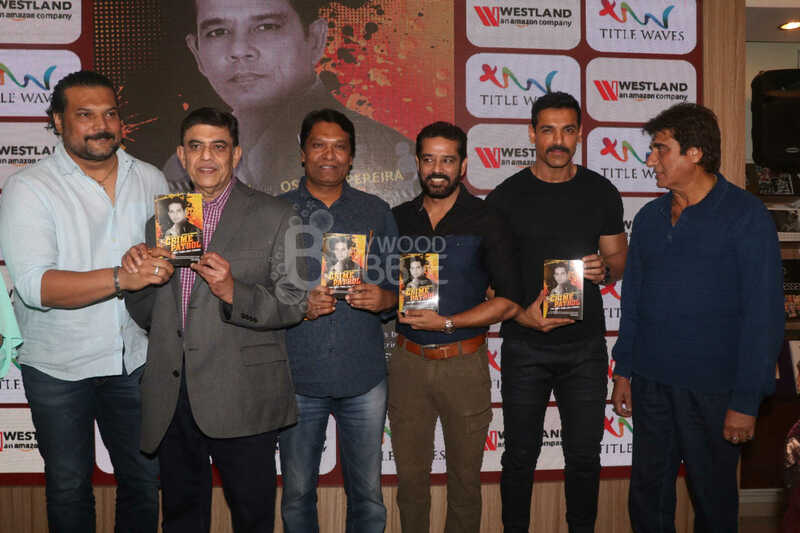 John posed with the 'CID' team at the book launch.